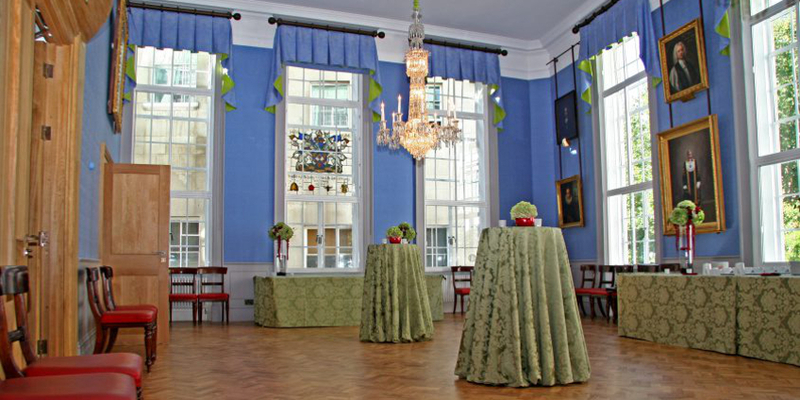 The second Business Lunch of Master Wendy Hyde’s Year took place at the delightful venue of Wax Chandler’s Hall in Gresham Street where World Traders were welcomed by the Beadle, former Mansion House Catering Manager Stanley Liu, and enjoyed an excellent lunch prepared by Cook and Butler. 69 World Traders and their guests welcomed Lord Bilimoria, the first ever Zoroastrian Parsee Life Peer, who sits as a Crossbencher. Lord Bilimoria, famous for founding Cobra Beer, initially in the UK but now in his native India too, is Deputy Lord Lieutenant of London and Chancellor of Birmingham University. He is also a non executive director of Booker. In his speech, he described the early beginnings of the Cobra Beer project, and the help and advice he had received from successful Indian entrepreneurs in this Country. His businesses had nearly failed on 3 occasions and he explained his philosophy for recovery and success. He did not duck the issue of the EU and the June 23rd Referendum. There are many things he dislikes or even hates about the EU, but on balance he believes that remaining in is better for both the UK and for Europe, especially in the area of maintaining European peace. Several amusing anecdotes and some poetry too. A very satisfied audience. Good venue. Good food. Good Company. Good choice of speaker. Thanks to the Master and our Clerk.